Here is a proud news to every Indian out there. Our scientists has successfully test fired a long range ballistic missile which is capable of hitting targets in the range of 5,000 – km. 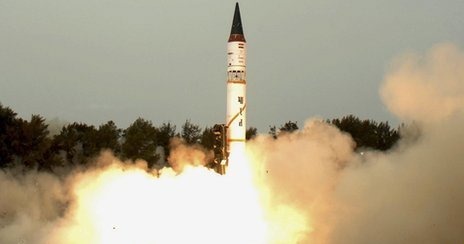 The indigenously developed surface-to-surface Agni-V Inter-Continental Ballistic Missile (ICBM) was launched from the test range off Odisha coast during the early hours of today. With this successful launch Indian joined the elite club of super powers who successfully developed long range missiles – US, China, Russia, France and UK.